It is time for Mumbai to embrace strategic spatial planning and local area plans as a sustainable path forward. Photo by Tarun R/Flickr. 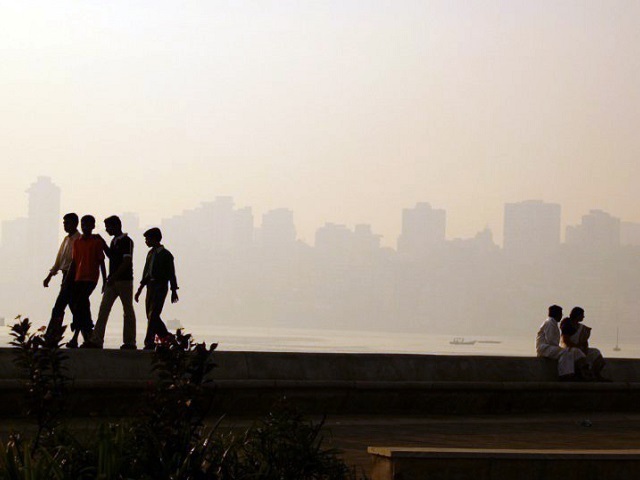 How can Mumbai become a Smart City that the nation is proud of? The recently published Draft Development Plan (DP) for Mumbai was so poorly received by various stakeholders that Chief Minister Devendra Fadnavis scrapped it on the 21st of April, 2015. It has to be reworked in just four months – an opportunity to bring in much needed change in the planning discourse. Since the DP followed a traditional process of proposing land uses and development control regulations, it is no surprise that the plan did not deliver on the local needs, sentiments and aspirations of citizens. This process of development planning is mandated by the State’s Town Planning Act, a remnant of outdated British laws, which were made when the current complexities of large metropolitan cities were not yet imagined. Previous development plans for Mumbai too, have faced challenges, such as prolonged delays of up to 15 years, indicating clearly that they are no longer realistic or nimble enough to respond to a changing city. These generalized plans typically did not respond to local variations and needs, did not have infrastructure plans linked to them, and did not manage to implement several reservations such as open spaces, local roads, dispensaries etc. If the future of the city is pegged on a plan that is open to comments from citizens only once in 20 years, then this is a recipe bound to backfire. What then is the alternate that the city can explore? The answer lies in strategic spatial planning. Strategic Spatial Planning separates the visioning tool from the regulatory tool. It envisions the city’s future while formulating strategic decisions and projects that will help leapfrog over the current and potential challenges of the city. This tool is not legal in nature, and serves as a platform for various stakeholders to freely express opinions, conduct negotiations and arrive at agreements without the fear of repercussions. This negotiated planning method brings together various government departments (planning, physical and social infrastructure, and funding agencies) along with local businesses, religious groups, resident welfare associations, NGOs and citizens themselves. While the process could be messy to start with, it results in a ‘co-produced’ vision for the city. Strategic Spatial Planning provides a long term vision, alternate future options and strategic projects that are linked to clear budgets. These strategic projects bring about a collective structural change to the city addressing the real needs of stakeholders, irrespective of the number of departments that need to be co-opted to manage implementation. Typically anchored by a strong government agency, or a mayor in international contexts, such a paradigm shift in planning is critical to prevent large metropolises from succumbing to becoming diseconomies. The traditional regulatory land-use plan could continue to be used for giving out building permissions and sanctions as well as providing a legal certainty for actionable inter-sectoral projects rolling out of this visioning tool. Actionable projects are to be realised at the smaller disaggregated scale of the Local Area Plan (LAP). These LAPs need to be mandated to ensure participation of local stakeholders in the plan making process to incorporate local knowledge, dynamism and local values. Due cognizance of these local area priorities, at regular intervals, should go back upward to inform the strategic plan and the regulating plan to ensure realistic planning and budget allocations. Mumbai being the largest and most populous city in Maharashtra has a plethora of agencies helping to run the city. The instrument of the local area plan must serve as the common platform for the planning agencies and the services provisioning agencies to come together in a coordinated manner. Agencies and experts in international cities, such as Europe and South America for example, have chosen strategic spatial planning and local area plans as a real alternative to static land use, regulatory control and statistical extrapolations. It is time Mumbai followed suit.